With 7 locations around Auckland, we are sure to have a venue handy to you. 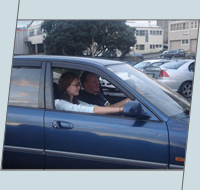 Auckland Defensive Driving Academy (ADDA) has been running the best value courses in Auckland since 2003. It is unique as we are not a Driving School that runs Defensive Driving Courses on the side. We specialise in providing quality Defensive Driving Courses. The Defensive Driving Course (DDC) is approved by Land Transport NZ and the Auckland Defensive Driving Academy is an approved provider. 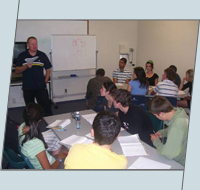 Why do our Defensive Driving Course? The Defensive Driving Course (DDC) has been improving the standard of drivers for 40 years. Restricted Licence holders are constrained as they are legally not permitted to carry younger siblings to school, drive between 10pm & 5am and are unable to transport friends to school and sports events. Breaching these conditions nullifies insurance and risks $100 fines and 35 demerits. It makes the cost of a defensive driving course seem minimal. On completion of our course, 6 months is slashed from their 18 month period. Local - We have 6 different locations across Auckland so are sure to have training facility handy to you. Professional Our Defensive Driving Course Manager comes from a specialised driving background and courses are run in an enjoyable though professional manner. 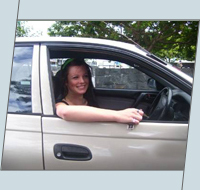 Affordable Value for money defensive driving courses that are competitively priced. We don't demand payment in advance. Be sure to enquire about our course discounts.